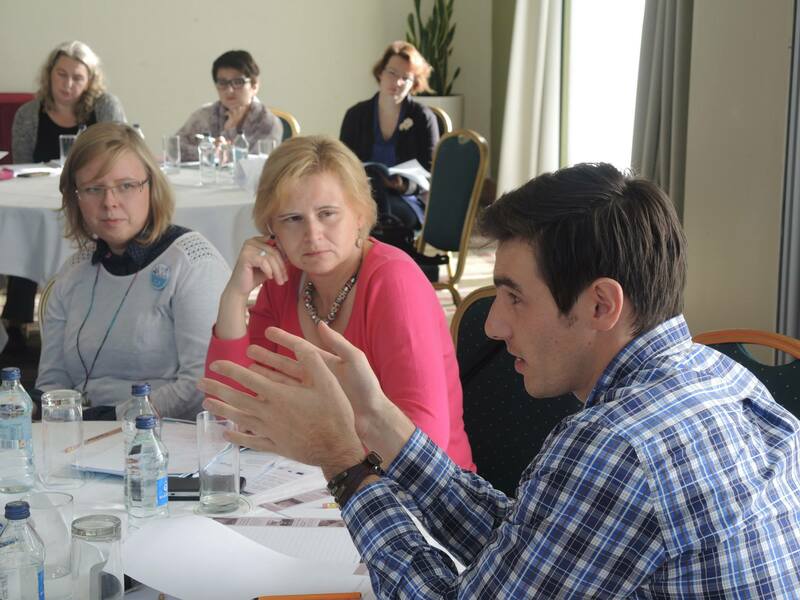 22 July 2015 // This year’s first IF European workshop took place on 3-4 July in Vilnius, Lithuania. IF members from 15 European countries came together to discuss their working priorities and to give the IF secretariat guidance for its 2016 activities. They were supported by IF’s international Board of Directors who held their own meeting in parallel. IF members stated that in many cases persons with SBH who require medical intervention in another EU country receive some kind of reimbursement for their treatment, but usually they have to fundraise privately to pay for additional costs, such as transportation to and accommodation in the country of their choice. Also, worryingly, many IF members had no or little contact with the National Contact Points for cross-border healthcare, which are established to provide patients with information about healthcare abroad. This leads IF to the conclusion that the 2011 European Cross-border Healthcare Directive does not yet work as efficiently as it should for many SBH patients. A conclusion which is in line with the Evaluative study on the Cross-border Healthcare Directive that was published in May 2015. IF will present its members’ views to the United Nations UNCRPD committee that is currently reviewing the situation of persons with disabilities in the European Union. IF members called for pan-European guidelines on lifelong SBH care from birth to adulthood – a request they have been making consistently for years. “It would be better and easier to have guidelines at European level rather than on country by country basis”, said Teije Dijk from BOSK, IF member from the Netherlands. The workshop participants also approved of IF’s ongoing initiatives, such as the creation of a Youth Group made up of young persons with SBH from the European countries, and the forthcoming online training on EU project funding. For the future, they ask that more attention be paid to the situation of adults with SBH and the creation of European SBH centers of excellence. One of the most concrete outcomes of the workshop was the creation of a closed Facebook group for European IF members where participants can exchange their news and answer IF consultation calls. A full report of the workshop will be published shortly. This year’s second European workshop will take place on Sunday 18 October in Italy, in the framework of IF’s international conference 2015, Equality.